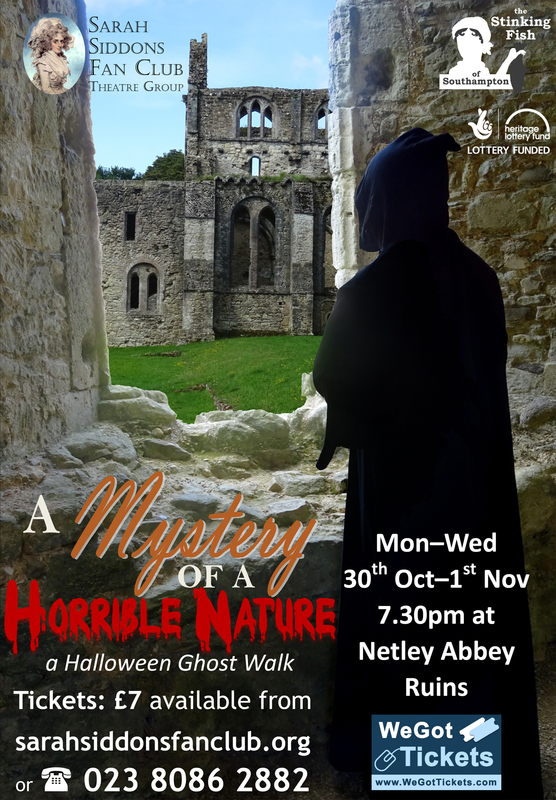 Following in the footsteps of the intrepid Ghost Hunter and inventor of Gothic Literature, Horace Walpole, The Fan Club are planning a night time visit to the glorious ruins of Netley Abbey. As one of the most iconic places in the history of the gothic, Netley has apparitions a plenty and not just walled up nuns and blind monks! Treasurer seekers turned mad, ghostly knights, squashed builders and flammable Victorians. The horrible history of Netley has inspired many a writer and poet including the writer of the “Ingoldsby Legends” and even the divine Jane Austen. So join us on a ‘Mystery of a Horrible Nature’ as one writer, Richard Warner said of Netley, to one one of ‘most picturesque portraits of a Gothic Ruin, that the hand of Science ever produced’…… But Beware of the Abbot’s Curse!!!!! We Regret this tour is not suitable for those who have difficulty with mobility. Please wear sensible shoes and bring a torch. This tour is happening at 7.30pm on the 30th, and 31st October and 1st November. Tickets are £7 and available from www.wegottickets.com/sarahsiddonsfanclub or email info@sarahsiddonsfanclub.org.